Sussex County Freeholders at their swearing in event. Freeholder Richard Vohden, with his wife, Faith, is sworn in for his term, by Judge Frederic Weber. 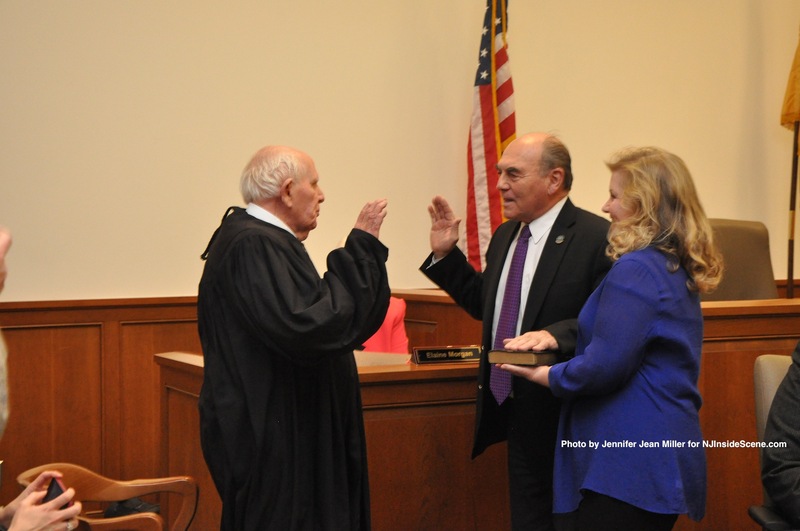 Vohden was chosen by fellow freeholders as Freeholder Director, and was sworn in for that role a second time. Judge Frederic Weber swears in George Graham, while Graham’s wife, Gail, and grandson, Seth, look on. 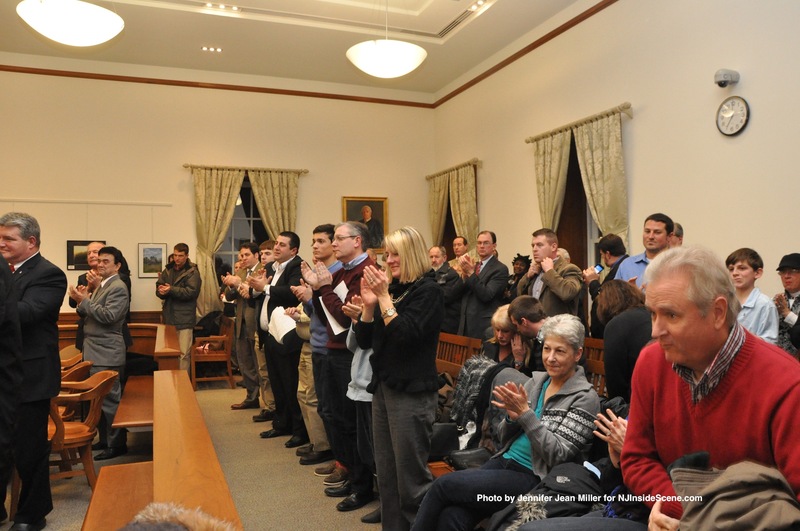 NEWTON – The Sussex County Board of Chosen Freeholders gathered on Friday, January 3, for their annual reorganization meeting, at the Sussex County Historic Courthouse. Though the conditions were blustery and frigid from the blizzard the evening prior, the room in the courthouse where the ceremony was held, was packed to nearly standing room only capacity, filled with attendees. Sussex County Freeholders Richard Vohden and George Graham were sworn in, followed by Sussex County Surrogate Gary Chiusano, and Sussex County Sheriff Mike Strada. His Honor, Judge Frederic G. Weber, swore in those taking their oaths of office. Carl Lazzaro, Fredon Township’s Mayor, performed the blessing for the group. Vohden, Graham, and Strada, are each slated for three-year terms, and Chiusano for five years. 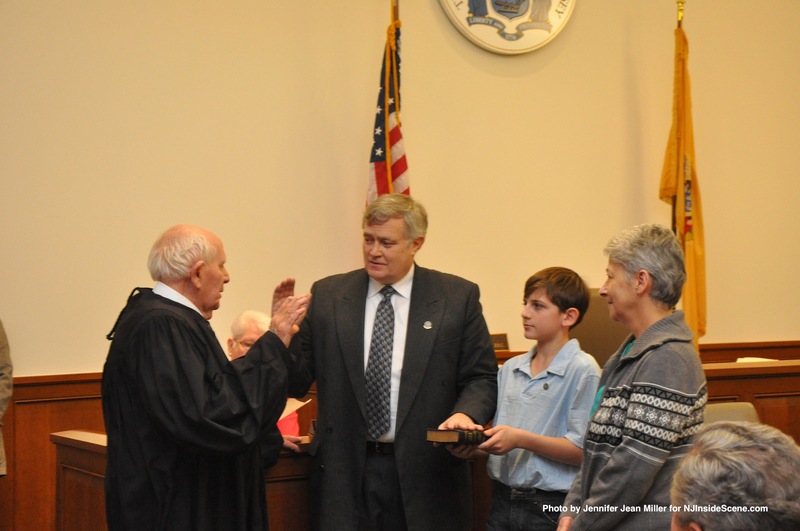 Following the swearing in of the officials, the Sussex County Freeholders agreed on their Freeholder Director and Deputy Director choices, and selected Vohden for Director, and decided on Freeholder Dennis Mudrick for Deputy Director. Freeholder Phil Crabb, who had served as a Freeholder Director previously, was the one who initiated the appointment of Vohden. Mudrick coined Vohden as a, “servant leader,” for qualities including: empathy, conceptualization, foresight, and stewardship. “I give my strong second nomination,” Mudrick said. Crabb was also the first to recommend Mudrick for deputy director. 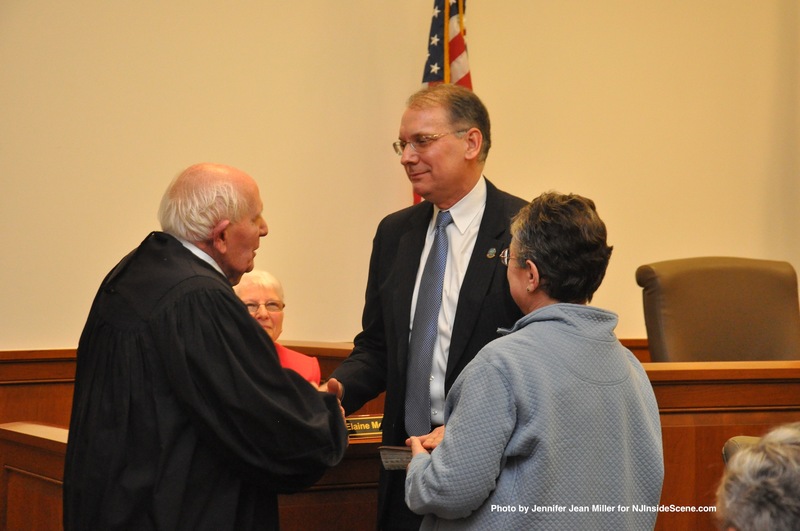 Dennis Mudrick, as he is sworn in as Deputy Director of the Sussex County Board of Chosen Freeholders, with his mother, Ann, and Judge Frederic Weber. “He [Mudrick] has immersed himself in county government,” Crabb said. He said that Mudrick had been attending freeholder meetings for the past three years, though he has only served as a freeholder for one of them. The transitional care program, the completion of the Littell Viaduct, and the daily efforts of the county employees maintaining the roadways in the midst of the snowy and icy weather, were some of the highlights touched on. Freeholder Gail Phoebus spoke briefly about Sussex County’s Vision 2020 Program, and her hopes that she would like to see it accomplished. Phoebus also said further work must be performed to strengthen the private sector, and increase ratables within the county, a task she will continue to work on personally. “We need to be very diligent,” she said, noting her dismay that Ward’s Florist, a longtime local business, has recently closed. Graham is the newest freeholder to join the ranks, after having been chosen during a republican convention, during the spring of 2013, and then defeated contenders in the primary election in June. 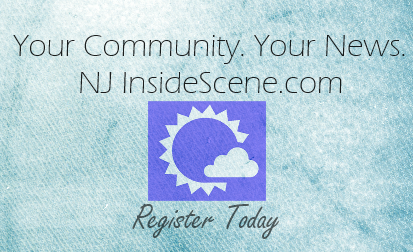 Graham served on the freeholder board, and was elected to his seat on Nov. 5. “We have a great team,” Graham said, thanking his colleagues who have assisted him in the learning process. 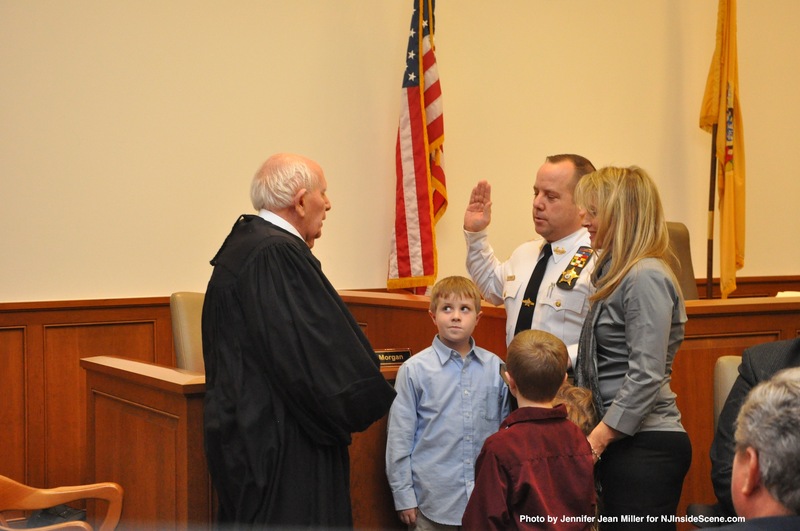 Sheriff Michael Strada, with his family, at the swearing in, with Judge Frederic Weber. Graham complimented Sussex County Administrator John Eskilson, and the county’s construction department, for their efforts. 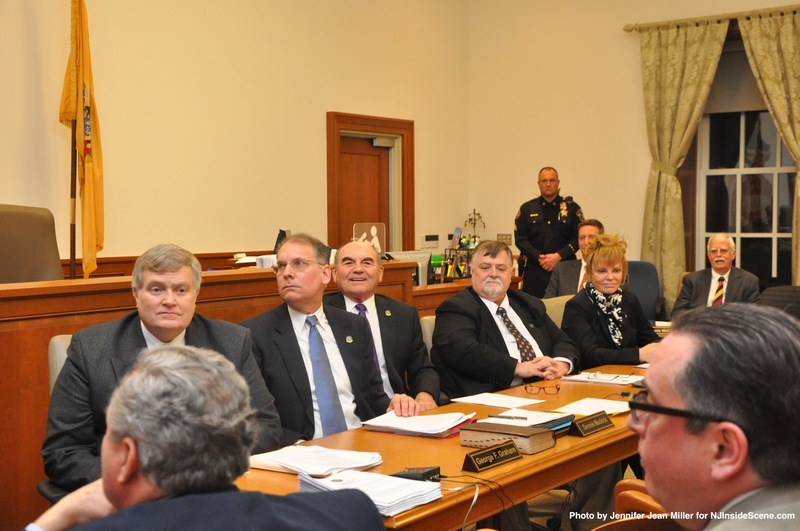 Vohden reiterated that the freeholder board remains committed to the residents of Sussex County, and in making the best decisions for the taxpayers. 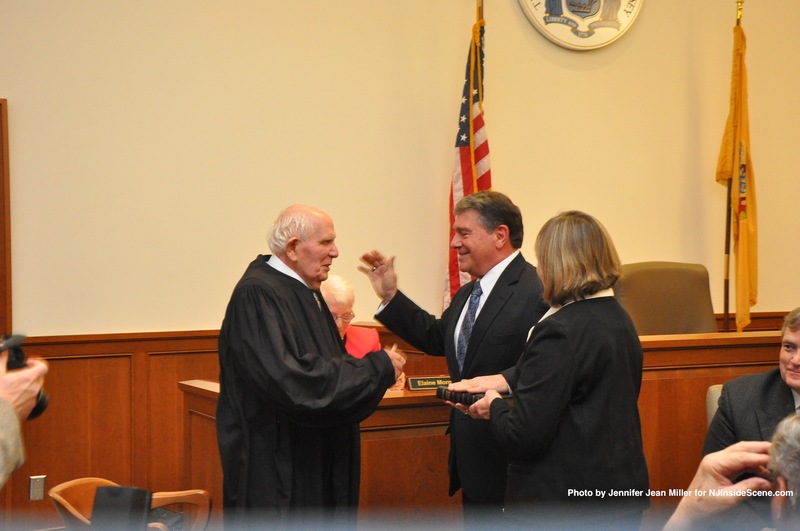 Surrogate Gary Chiusano, sworn in by Judge Frederic Weber. Laura Camp, Deputy Surrogate, participated. Chiusano’s wife, Carol, was unable to attend, as she has for past swearing ins, due to a work conflict following the snowstorm. Strada also spoke briefly to the group, explaining that he runs the sheriff’s office is a paramilitary organization, though it is run as a business. “The decisions I make are not politically motivated, but are based on the best interests of the sheriff’s office, and you the taxpayers of the county,” he said. Strada elaborated on the accomplishments as well of his office over his last three years of service, from the inmate work program to the opening of the emergency operations center, to the implementation of the state-of-the-art bracelet monitoring program. He added how operating expenses, had been cut by $1 million, without jeopardizing vital services to county residents. Strada thanked Eskilson, his undersheriffs, and the freeholders, for assisting in accomplishment of these undertakings. Elaine Morgan, the Clerk of the Sussex County Board of Freeholders, was also recognized. The reorganization event was the final one for Morgan, who will be retiring. Morgan was presented with a bouquet of roses, and was showered with an extended standing ovation, by the audience. Jill Space, Vice-Chair of the Sussex County GOP, recognized the dignitaries in attendance. Many members of municipal governments throughout the county were present at the event, as well as Congressman Rodney Frelinghuysen (NJ-11), Senator Steve Oroho (R-24), New Jersey Labor Commissioner Hal Wirths, Assemblyman Parker Space (R-24), Chiusano, Sussex County Deputy Surrogate Laura Camp, Sussex County Clerk Jeff Parrott, and a representative from the office of Congressman Scott Garrett’s office (NJ-5). The standing ovation for Elaine Morgan.